The devil was sitting in Anders’ office. Seven foot tall, with skin the colour of lava, piercing green eyes and long horns protruding from a thick shuck of black hair, he was well dressed in fine robes. Around him there was a smell of summer flowers, with a faint whisper of something more dank, and spicier underneath. When Courtney entered, he’d paused to look at her, making her heart skip. He was perhaps the most terrifying thing she’d ever seen, and she’d been frozen in place as his gaze looked upon her, feeling like she was naked before him. She didn’t know what was happening to her, she was an officer in the Eidolon Corps, the Imperial special operations branch, and yet now she felt like a schoolgirl standing before an angry father. It was infuriating, maddening, but she couldn’t help it. Anders, her superior, frowned and reached into a drawer, pulling out something. “Courtney, catch.” He said, and tossed something to her. As soon at the small green gem touched her hand, Courtney immediately felt the waves of fear and emotion begin to ebb and settle. Within a few moments, her inner calm was back, she was as cool as ever. “You’re no fun,” said the devil in a slightly displeased tone to Anders. And, when Courtney looked at him now, she found he appeared only a tall but slender young man in his twenties with orange skin and black hair, the god she’d seen moments before having seemingly vanished. The whole thing left her a bit disoriented, but she did her best to hide her confusion. The devil said everything he needed to with the sharp yellow teeth of his smile. “Of course,” the devil stood and shook Ander’s hand lightly, then gave Courtney a smile that made that tingly feeling return for the briefest of moments before he left. “Bloody devils,” Anders said, dropping back down into his padded leather chair and shaking his head. “Is that what this is?” She said, looking at the small gem that was still in her hand. Courtney indicated that it was. Courtney looked up to see the carriage pull to a halt and Stratios step down from it, ignoring the brief fluttering in her heart the moment she saw him. When the prince joined them, he grinned and looked to each of them in turn. With that, Anders led the two of them across the street and into the slums. The narrow streets of the slums were dark, even in the late morning, the sky blocked out by the lines of hanging clothes above them. The stones they walked on were broken and uneven, and to either side tired, sallow eyes watched them from broken windows and makeshift wooden stoops. There was a deep feeling of despair and hopelessness here, one which couldn’t help but tug at Courtney’s heart. Courtney started to nod in approval, but then caught herself, remembering Anders’ warning. 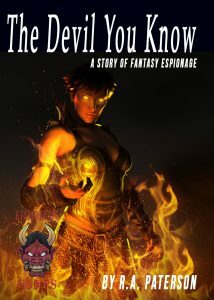 She didn’t know much of the Devil Kingdoms in the South, but had always imagined they were horrible places to live. Millenia ago, when the devils had comes to this world, they’d tried to conquer it, and there had been a great war. The Empire she served was formed in the aftermath of the alliance of human kingdoms that had been forced to work together to defeat the devils and banish them from this plane of existence. Of course, a few had remained, and they’d set themselves up as the rulers of some of the more southern lands. After the war, the human alliance was too tired and fractured to drive the last of these devils out, and so the devils had taken root in those southern lands and built up new kingdoms which existed in an uneasy state of peace with the Empire. Most of the time, the devil rulers fought amongst themselves, so they were usually too busy to be much of a concern, but every now and then a single King or Queen would gain dominance over the others, and then trouble would start. It was like that now, Stratios’ father ruled a coalition that had begun to push on the imperial borders and created tensions between the two powers. Tensions that this situation could escalate. Anders brought them to a halt at the mouth of an alley, and turning they saw the short, trash strewn lane ended in a brick wall with a single door in it. Around the door was arrayed a group of tough looking young men playing dice. “Friendly or unfriendly, sir?” Courtney asked. “Let’s try friendly first,” Anders said, and the three of them stepped into the alleyway. Seeing their approach, the young men stopped their games and arrayed out across the road. Courtney noted knives and other weapons being brought to the ready, and did a quick check for magical energies to make sure there was nothing of concern. A few among these toughs did have items that glowed a soft yellow or light orange, but none of the stronger colours that could give them trouble. “Nothing to be concerned about, sir.” She whispered to Anders. The apparent leader of the toughs didn’t show any intimidation at the sight of the three of them, which was impressive enough in the face of two people wearing Imperial Security uniforms, but when they had the imposing figure of Stratios with them, it bordered on insanity. “Yeah?” Said the tattooed young man, his face a mask of lines in the form of a wolf, a popular look among the street thugs. The tough eyed them, then barked a command to one of the others that sent him rushing through the door at the alley’s end. Meanwhile the rest of them stood there like a wall, trying to look as imposing as they could. A few years ago, Courtney might have been intimidated by them, but now they just looked like kids to her. The things she’d seen during her training to join the service and subsequent time in the Eidolon Corps had shown her how hollow this show of bravado really was. It also didn’t hurt that she was only a thought away from summoning up a mystical suit of armour which made her a match for battle trolls and giants. The crowd parted, and the three let themselves be led into the building by the tattooed man. Courtney stayed vigilant, ever aware that the narrow halls they now walked could easily turn into a site for an ambush. Her job was to protect Anders, and their guest, although she doubted Stratios needed much in the way of protecting. The dirty corridor emptied out into a larger hall, which was some kind of recreation room from the look of it. It was a cluttered mess, and stank of sweat and human desperation. On the far side, past a few tables and ratty couches, a thin faced man wearing a white turban and colourful robes sat at a desk. One of the desert dwellers from the Sand Sea to the West, he was surprisingly clean and well dressed compared with his surroundings and associates. The associates in question being the half dozen enforcer types who were standing strategically around the room. Unlike the kids outside, these were big men, and they had the wary eyes of old soldiers of the street. Courtney knew before she checked that they all had artifacts or other items that glowed bright orange and red for the strong magical energies flowing through them. These men were equipped to fight, and knew their business. Their guide led the trio into the middle of the room- the worst spot to be if trouble happened. “Someone unregistered?” Anders asked, his voice showing false surprise that such an esteemed businessman would associate with such types. Seeing Krul’s expression harden, Courtney tensed and made ready to summon her armour. This was the moment- Krul would either crack or he would go on the offencive and they’d have a fight on their hands. He stood again, sighed, and made ready to speak, but what came out his mouth a second later was a mournful tortured scream of agony and his eyes rolled back into his head. Then a green glowing hand thrust out of his open mouth, followed by another as each hand grabbed the sides of his mouth and pulled it apart inhumanly far. Then, from the tortured orifice a green glowing head suddenly appeared, it’s wet face a ghastly twisted grin with no eyes or nose. Only huge, sharp teeth that clashed together like a shark’s jaws. As Courtney watched in horror, the rest of the creature’s body emerged from Krul as well, like a spider shedding its skin to emerge new and whole to let Krul’s body drop at its feet. Scuttling up onto the desk, it hunched there on all four limbs, hissing at them. The sight of it sending the former bodyguards screaming from the room and leaving the three of them alone with it. “What… Is it?” Courtney gasped. “Is it dangerous?” Courtney asked, watching it carefully. “No.” Said the devil in a tone which indicated that it was a matter of preference rather than ability. “But my job…” She started to say, and then there was a flash of movement and the keeper was gone. Instinctively, she armoured up, which was just as well, as it was only her enhanced speed and senses that let her know the thing had appeared out of the air to her left and let her dodge the skeletal claw that would have taken her head off. Jumping back, she threw a kick at the thing only to have it vanish before her leg was even close. The suddenly lack of a target throwing her slightly off-balance and making her tumble backwards into Stratios. She felt the robed figure give her a gentle push, and at first she thought he was steadying her, but then a paralysing cold shot through her body as something struck her from behind. The last thing she could do before she blacked out was scream. Courtney awoke with a startled gasp, clutching her chest. It felt like there was a cold void there, like her guts were pure ice. Then she looked around- she was on the gravel of a rooftop? She was no longer in her armour, just her uniform. The hot mid-day sun beating down on her from above. How had she gotten here? Where was Anders? Where was Stratios? She started to rise and then regretted it. Her limbs felt like putty, her whole body was shaking and coated with sweat. She stayed where she was. What had happened? She remembered falling back into Stratios, and then he’d… attacked her? She wasn’t sure. Anders came up the ladder into view. His tied-back brown hair and hazel eyes peeking above the lip- eyes that watched her in concern as he rose into view. As usual, he looked none the worse for wear, and in fact might have been coming from a formal dinner for all he appeared. “Are you sure this will work?” Courtney said, sipping hot ginger tea to try to rid herself of the lingering chill she felt. “Thank you for that reassurance,” she said, sarcasm in her voice. When she didn’t, he repeated it again, and finally she did, finding his hazel eyes fixed on her. The scrying mirror on the table let out a chirping noise, and they both looked at it. Then Anders looked up at her. “Let’s go find out,” he said. The guard crumpled to the ground, felled by the force of Courtney’s blow. Double checking to see that the other guards were also still unconscious, and that there weren’t any other surprises waiting, Courtney went into the guardhouse and pulled the lever to open the front gates. As she walked out, she saw Anders and Stratios come through. “Are they?” Anders asked glancing at the guards. “They’ll just be out for an hour or so,” Courtney said. The devil made no reply, but merely began moving along the path toward the large distant manor house. Courtney looked at Anders, who shrugged, and then the two of them began to follow the devil. Anders’ tracking spirits had led them to this place, the very private estate of a very rich noble family. Not that this was much of a surprise, as whoever was behind this operation would require money and resources. Also, a devil princess would only choose to work with someone they perceived as having equal status, or equal ambition, which was a common characteristic among the noble families of the Empire. “But they…” Courtney started, and then stop speaking when she saw Anders raise his hand. Not needing any further prompting, Courtney did as he told her to. In a flash, she’d scaled the ancient tree, using her suit’s enhanced strength and agility to get her to the top in moments. Once there, she began to peer around, using her suit’s magical senses. In this way, she saw the world as flows of magical energy, with the essence of every living thing in the world itself flowing around her. With this method, it didn’t take her long to see why Anders had sent her up. Anders nodded. “I could feel the flows going in that direction. And, it appears our guest did to.” And he gestured ahead of them at Stratios, who had stopped and was now turned to face in the direction that Courtney had seen the ritual. Cutting across a path through the forest, the three of them soon came to a large open field normally used for sports and equestrian events. The moment they cleared the tree line, Courtney came to an abrupt halt. She stared out at the scene before her, unable to quite comprehend what she was seeing. The open field was carpeted in bodies. Thousands of them. They were laid out in neat rows that seemed to stretch on in all directions as far as she could see. It was like a huge crowd had suddenly all collectively laid down to take a nap. The exception was the centre of the field, where a huge magical circle glowed white and amber in a brilliant rotating display of light that danced around in a series of images of various magical runic symbols. And, at the centre of that casting circle, a single tall horned and armoured figure was waving her hands and chanting loudly, manipulating unseen magical forces. But, by the time she’d finish the words, Anders and Stratios were already both rushing across the field toward the casting circle, and she was forced to start running after them. “We have to stop her!” Anders yelled. Then, as Anders finished saying the words, there was a mighty cry in an alien language from the centre of the field, and the circle within it. The summoning circle pulsed, sending a pulse of orange energy out across the field. “Armour up and get behind me!” Anders shouted as they came to a halt and he pulled out a paper talisman from inside his coat. As he brought it up, the paper stiffened and glowing magical symbols flared to life all across the long yellow strip, then he held it up in front of him as though he were trying to show it to an invisible person before him. When the energy wave hit them, it bent around Anders and Courtney. They, and the bodies next to them, were in a small safe zone that he had created. Courtney looked ahead, at Stratios, who was outside and or safety zone. He too had stopped, and was holding one of his hands in front of himself to bend the flow of energy away from him. Then, as quickly as it had started, the energy wave passed. It left all the field was once again in darkness, except for the now dimmed light show of the summoning circle at its centre. Courtney was about to ask what kind of spell, when she heard the first of the screams as all at once, the legion of bodies around them cried out in tortured agony. Whatever the spell was, they were about to find out. All around them, the legion of bodies screamed and writhed in tortured agony. It was the most terrifying and soul wrenching noise Courtney had ever heard in her entire life and it left her reeling in confusion. It wasn’t until she felt Anders grabbed her arm, and looked at him that she found her focus. “What’s it doing to them?” She said as they started to move again. Courtney, who had already faced berserker demons in combat several times in her short career, shuddered. Fuelled by the power of magic, such creatures had inhuman strength and stamina, and were filled with a rage to kill and destroy that few could imagine. It was almost impossible to take them out without killing them, and because they felt no pain that took quite a bit of effort. Even subduing a small group of these things was difficult, and there were untold numbers of them around her on the field being born. With this in mind, she used her armour’s speed to pull ahead of Anders and Stratios, making a direct line for the summoning circle. She intended to go right through it and hit the summoner as hard as she could. With her strength and power, she was capable of going through buildings and even some castle walls with relative ease if she had enough momentum. And now, with this open field. She had lots of room to build up the speed it required. As a result, when she hit the summoning circle she was going easily fast enough to tear through a thick stone wall. Which is what made it even more shocking, when instead of going through the summoning circle she merely bounced off the edge of it as though she’d hit a giant piece of rubber. Spinning out of control, she was sent tumbling back into the field to land among the screaming bodies. By the time she regained her senses, Stratios and Anders had caught up and were standing next to the summoning circle. But inside, a demonic figure who looked very much like Stratios himself only laughed. While this exchange continued, Courtney joined Anders. She was still a bit stunned from the impact, but had regained most of her senses. Without further question, Courtney turned and took off. Moving at high speed away from the magic circle as though she were fleeing, and then when she got to the edge of the field turning and beginning to circle around so that she was on the opposite side from where Anders and Stratios faced off with the rogue demoness. Once there, she put her hands on her knees and gasped in mouthfuls of the cool night air. In the middle of the field, she could still see the three of them arguing on the other side. Then, she saw Stratios raise his hands and powerful energies fly from them to attack the summoning circle’s shield. At the same time, she saw a blue flash as Anders launched another type of attack spell, but neither of their efforts could penetrate the powerful summoning circle’s defences. Despite this, she knew that what she was looking at was her signal. So, sucking in a deep breath, she began her dash back across the field towards the summoning circle. As she did this, she saw that the bodies were beginning to rise up. Their human features were now changing into something twisted and demonic, and their bodies were becoming bigger and hunched over- their hands becoming claws with long sharp talons for fingers. A few of them noticed her, and suddenly there was a wall of these creatures before her, talons reaching for her. 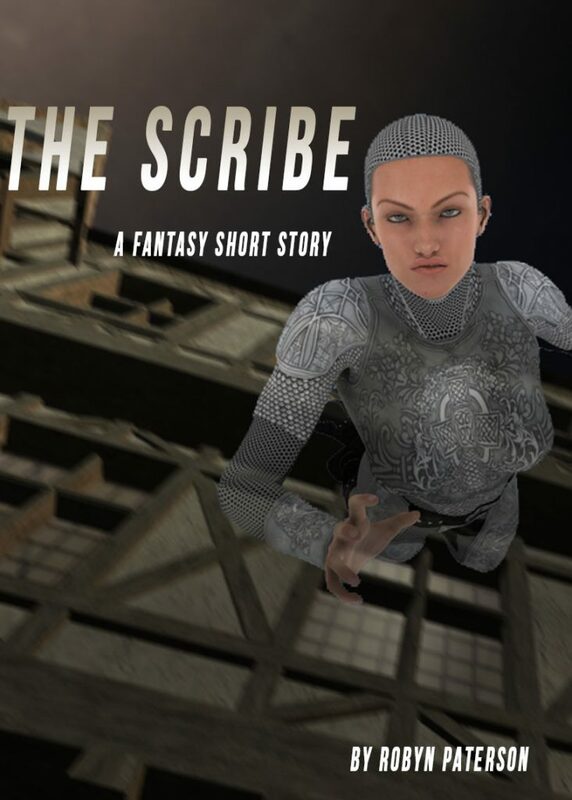 But Courtney had a job to do, and so with her shoulder ahead of her, she relied on her Armour’s strengths and defences to ward off the attacks of the creatures as she plunged into them. The creatures were sent flying and scattering before her as she moved through the field at an ever-increasing rate. Finally, the seemingly endless army of creatures before her parted, and she was looking once more at the lights of the summoning circle. It’s amber energies were flaring on the side across from her as it weathered the onslaught of her superior and the power of a demon prince. Making a silent prayer, she raised a fist and charge into the summoning shield, hitting it with everything she had. Much as Anders had obviously expected, the shield, which was occupied by the attack on the other side, was weaker now on this side. And, as an end result, Courtney found herself passing through the barrier with only some small resistance. Then, she was inside, having lost only a little bit of her momentum, and before her was the rogue princess, who was still facing the other direction. She must’ve heard the sound Courtney’s attack made, or perhaps she sensed her, and the demoness began to turn, but it was already far too late. Courtney slammed into her, and the power of armoured body and momentum carried them both into the defencive wall of the summoning circle before them. Crushed between her, and the barrier, the demon princess let out a pitiful cry and there was a loud cracking sound as several of her bones were rendered down into powder. Of course, Courtney also felt some of the impact, despite her Armour’s attempts to protect her. So, both she and the princess fell back into the circle, stunned. It took the young agent several moments before she regained her wits, and could hear the distant sounding voices of Anders and Stratios calling to her. Then she was awake, struggling to her feet, looking around. The rogue princess’ body lay nearby, broken and unmoving, but the barrier was still up and very much active. It was like she was now trapped inside a giant glowing glass jar, one with no exit and which she had no idea how to get out of. Meanwhile, outside she could see that Anders and Stratios were fighting desperately against a tide of demon possessed war spirits that were surging up against the circle. Courtney shook her head, trying to clear it, and trying to think of something she could do to help them. Despite Stratios’ power, there was no way they could survive this attack. And, while she had stopped the rogue demoness, she was trapped inside the circle, and knew nothing about weaving spells or controlling magical circles. Looking around desperately, she stared at all the magical symbols carved into the ground around her. Should she try to destroy them? But, if she did, what would that do? Would that just get her killed as well, and destroy any chance they had of taking control or stopping this mob? Deciding she had little choice. She picked a symbol at random and slammed her mailed fist right into it as hard as she could. The moment her fist impacted, there was a bright light that blinded her, and a loud popping sound. Then, the tinkling sound that the magical barrier made became a angry buzz as the weave began to lose its stability and break down. As this happened, Stratios suddenly lurched through the barrier to join her inside the circle, followed by Anders. “Out of the way!” Screamed to the demon prince, and he rushed into the middle of the circle, his hands waving in a complex series. All around them, the demon warriors were pounding on the shield, their fists reverberating off the barrier in a rhythmic beat. And then, suddenly, the noise was gone, and there was only the tinkling sound of the barrier itself. Looking out, Courtney could see the demon-possessed warriors were standing stock-still, waiting for orders. “Dispel the spirits within them,” Anders said, coughing up dark fluid. Courtney felt her insides go cold again, they’d only barely stopped one devil, and now another had taken its place. She tensed, getting ready to attack when Anders gave the order. She wasn’t sure if she could beat him, but she had no choice but to try. “I have your brand.” Anders said, locking eyes with Stratios. Stratios and Anders faced each other for a time, and then finally the devil looked away and began a series of gestures to weave orders into the circle. “Of course,” said Anders, flatly. A few moments later, Courtney saw the demon-possessed people around them begin to collapse and could see their features slowly start to revert to normal. Then the circle also began to shut down, and as the last of the glowing symbols faded from view, they were standing alone in a darkened field. Their backup arrived shortly afterwards, every member of the Eidolon Corps in the area, and a whole unit of city militia. Anders set them to work sorting the details out, and then let Courtney drag him off toward a healer’s tent. “They don’t trust each other at all, do they? The Devils.” Courtney mused. “But you trusted me to find a way to get you in.” Courtney looked at him, feeling touched. After he’d gone inside, Courtney turned and looked across the field at the chaotic scene. They’d saved a lot of lives, and risked their own, it was a good day’s work. Suddenly she was proud to have this job again, and glad she could be part of something so important. And glad most of all that she had the trust of the people she worked with. After all, without trust, what was there? * * * * * * * * * Want to put a little something in my tip jar out of appreciation? Click here and donate! This entry was posted in Eidolon Corps and tagged Eidolon Corps, Espionage, Fantasy, Short Story on November 14, 2016 by UltraRob. Shocked, Courtney tried to run around the counter, but by the time she’d gotten around it Anders had already thrown the old bookseller to the ground. Whipping out a small strip of paper from his pockets, Anders slapped it on the struggling man’s forehead, at which point the struggling seller suddenly went limp like a broken puppet. “Here,” Anders said, thrusting the book the man had been carrying into Courtney’s hands, then he whipped out a scrying mirror. Courtney looked at the book, “A Study of the Grey Fawn-Mouse” it was called, but a quick check with mage-sight revealed nothing unusual about it, it was a normal book, with the only exceptional thing about it being a rather nice rendering of a fawn-mouse on its grass green cover. Moments later, Vulfang and Jorah slipped inside the front curtain. “Check upstairs, watch for traps.” Anders ordered, and the two men rushed past and up the spiral staircase at the back. “Sir, this book..?” Said Courtney, now somewhat confused. She caught Anders rolling his eyes and decided to stay where she was. That’s when it hit her. Courtney looked down at the book again, impressed. She never would have thought of that. “Anders, upstairs!” Jorah called down. “Cover the door, but don’t let them see you do it.” Anders ordered, gesturing at the wooden boards that lay next to the entrance. When she’d done as he ordered, Courtney checked the bookseller to be sure he was still out. A large black and purple blotch was starting to form on his temple where he’d hit his head when Anders had thrown him down, but the sleep talisman Anders had used was firmly stuck to his forehead. He wouldn’t awaken until someone removed it. Then Courtney slipped up the narrow stairs and into the upper level. The place was a messier version of the store below, with cushions for sitting and clothes strewn about. She followed the sounds of her comrade’s voices into another room, and through a hole which had been knocked in a side-wall. Next to the hole, a hanging carpet lay crumpled on the floor- the hole’s former covering. Inside what Courtney took to be the abandoned building next door, she found her comrades standing around the edges of a large, empty room. The only illumination was from a half-covered rear window, but it revealed nothing but an empty room, the middle of which Anders and the others were peering at carefully. She was almost going to ask why, but suddenly she stopped herself and did the obvious thing- she switched to mage-sight. The moment she did, it literally all became clear. The room which looked so darkened and dusty under normal sight was actually ablaze with lines of yellow and orange magic everywhere. The majority of it was concentrated around a circle in the middle of the room about the diameter of a wagon wheel, which was what Anders and the others were examining. Moving closer, Courtney could see the very tight weaves of the circle’s structure, and recognized the sharp angles of Hathiri style weaves. “I can try,” said the gentleman, slipping down into a crosslegged position next to the casting circle. Following the large man up a ladder at the back of the building, the two agents crept low across the roof, before they reached the edge, Vulfang stopped her. He pulled a hood up to hide his broad, shaved head that we gleaming in the midday sun, and motioned for her to do the same. Instead, Courtney shook her head. A moment’s concentration later, she vanished from sight, her Armor of Saltea throwing a stealth weave over her whole body. If she moved there was a visible distortion, but as long as she was still she was effectively invisible. Now Vulfang was the one to be impressed. “Must be nice.” He said, shaking his head, then the two of them dropped to their elbows and crept forward to the front edge of the building. Courtney started to indicate she would, then remembered that he couldn’t see her, and just settled down to work. There were a lot of people on the market street, but all seemed to be busy going about their business and showing little interest in anything to do with the bookstore. She started checking the other buildings as well, and while there were many open windows, almost none were occupied. It took her a moment to find him, but sure enough, partway down the street was a bun seller’s stall, and she saw the turbaned head of a skinny man pop out from behind the edge of the stall and look at the store beneath them. As they watched, he casually walked out and past the store, pausing to try to get a look inside the window of the bookshop, and then continued in a look back to his own stall. A few minutes later, he was creeping back up beside her again. It made sense, and Courtney said as much. So they lay there on the hot roof and waited. This is where her armor had a decidedly large disadvantage, Courtney decided. While the stealth weave was active, her armor was manifest around her in the physical world, but it had no system for cooling, and literally became a wrapper she was stuffed inside. It didn’t physically get hot, but it did keep her from cooling and so she suffered from a real chance of overheating if she exerted herself in the armor or was in a hot environment with it on for too long. She wanted to pull back and release the armor, giving herself a chance to breath, but it could be needed at any moment, and she didn’t want to look weak in front of Vulfang. So instead she lay there, getting ever more uncomfortable in the midday sun. Then, just as she was about to retreat and escape from her personal prison because she couldn’t stand it anymore- something happened. Using mage-sight, she could look through physical barriers and see the pale green and yellow silhouettes of people. Behind the bun-seller stand she watched as he summoned a boy, gave the child something, and then sent the boy running down the street. “You’re up. Keep in touch.” Vulfang told her, and Courtney pulled back from the edge, stood up, and began running across the rooftops in pursuit of the boy. The buildings that didn’t share a wall had only small alleys between them because of the dense need for space, so it didn’t take much for her to keep up with the boy. She used mage-sight to track him as he sprinted among the awnings and between the sellers and their stalls until he ducked into a restaurant two blocks away. It also let her follow his progress as he made his way through the crowded tables to finally stop next to a man, give him something, and then leave. Ignoring the boy now, she crouched on a rooftop across the street and waited. After a few minutes, the man casually got up and walked to the back of the restaurant and out a rear doorway. Sighing, Courtney took a look down at the market street below, did a quick estimate, and decided her odds. Then she took a couple steps back, and with a running start threw herself into the air over the street. Thanks to the magical enhancements of her armor, she soared over the sellers and bystanders to land with a hard crunch on the restaurant roof with room to spare. Not having time to be be impressed with herself, she dashed forward to the back edge of the roof and looked down. The man was alone in the back alley, and was unrolling a piece of paper on top of a wooden barrel. As she watched, he pulled out something and started to write quickly on the paper, scrawling down a message. The paper shone with a light orange tint, so Courtney wasn’t surprised at all with what happened when the man was done. He pulled out a knife, cut the tip of his finger and dropped a little blood on the corner of the page. Instantly the paper came to brilliant orange life as the blood activated the spell and the paper was transformed into the shape of a messenger bird about the size and shape of a pigeon. This was her time to act, and Courtney took it. Vaulting over the edge, she dropped down from above and grabbed the bird, then, before the man could react to the invisible demon he faced, she backhanded him into the wall, rendering him unconscious in a cloud of yellow alley dirt. “In you go,” she said to the bird as she grabbed the sack the man had been carrying and stuffed the magical messenger inside. This entry was posted in Eidolon Corps and tagged Eidolon Corps, Espionage, Fantasy, Short Fiction on August 31, 2016 by UltraRob. Earla thought a moment. “Tyla Bonheur is where I would begin.” She offered. The rebel general mimicked the gesture, wished them well, and then pair made their exit. Courtney didn’t speak until after they’d retrieved the list from the general’s secretary and left the building. Anders hadn’t said a word, so she thought she too should remain silent. Despite this, she felt as if she was going to burst if she wasn’t able to ask questions, and did so as soon as they were in the private safety of their carriage. “Do you think she’s involved?” She asked her superior. “Even if she is responsible,” Anders said, pulling a small circle of leather from the folds of his longcoat. “She won’t leave any direct connections with whoever is conducting this operation.” Then he undid a small hook and flipped open the leather circle to reveal a tiny scrying mirror the size of an egg. “Hebris,” he said, using the mirror’s activation codeword. Almost immediately, the bespeckled face of a young male clerk appeared in the mirror. “One moment, please, sir.” Said the man, and in Anders’ mirror Courtney could see the receiving mirror being lined up with another mirror of the same size which had the image of Lord Brigham on it. “What have you got, Anders?” The Lord asked, when the two mirrors were aligned with each other. Anders told him what they’d learned so far, including Courtney’s thoughts. The city of Kul-Margat was an ancient trade city which sat on the Western border of the Empire, where the last of the mountains of the South met the vast expanse of the Kahli Desert. Carved, as much as built, from the deep brown stone of a mountain, it was home to thousands, and at any time had thousands more passing through its gates. Trade was the city’s reason for being, and most of its narrow, twisting streets were dedicated to the shops that seemed attached to the first level of every house. Courtney and Anders met Vulfang and Jorah in an outdoor cafe on one of the lower levels frequented by travelers. Courtney spotted the two men almost immediately, the hulking Vulfang with his scarred face and the more fashionable Jorah with his slicked-back black hair being easy to spot in a tent filled with desert tribesmen. Both were dressed in civilian clothes, as were Courtney and Anders now, their uniforms traded in for pale cloth robes and colorful scarves. “Yo! Friends!” Vulfang raised a glass of the local brew to them as she and Anders threaded their way through the tables of tea-drinkers. Courtney tried not to look at the other things arrayed on the tables, not wanting to lose her lunch. “Vulfang. Jorah.” Anders said as they took their seats. “How’s he treating you, new girl?” Vulfang asked Courtney. “Tomkins,” Anders said, clearly not eager to discuss the subject. In point of fact, Anders had talked little to Courtney since she’d joined the unit two weeks before, and even today had said almost nothing outside of the topic at hand. She was surprised to find out that he was a Ferring graduate, though. It was a school for the children of high ranking officials, and she’d pegged Anders as a scholar’s son. “Do we know who that someone was?” Anders asked. Anders’ jaw tightened. “I didn’t graduate.” He half-growled, keeping his eyes straight ahead. Courtney decided she’d best do the same, and let the subject lie. They found the book store wedged in between a flower shop and boarded-up home on a bustling market street- the blue icon of a book barely visible on the sandblasted sign that hung above the front doorway. Courtney and Anders went inside first, with Vulfang and Jorah loitering nearby and pretending interest in a local carpet seller’s wares. The shop was a long and thin room filled to the brim with leather bound books, scrolls and various piles of vellum that filled it with a musty scent that Courtney associated with teacher’s offices and her own father’s study. At the back, a single small staircase twisted up into the dwelling above. Hearing this, the bookseller frowned. “No. No book on that here.” He said, his face becoming serious. “The man you seek didn’t come here.” He added, and then began to fiddle around behind the counter, agitated. “Are you sure?” Said Anders, watching him intently. Inwardly, Courtney shook her head. This clearly wasn’t going to be much of a lead, and she was about to ask Anders what to do next when suddenly Anders yelled “stop him!” and leapt over the counter. This entry was posted in Eidolon Corps and tagged Eidolon Corps, Espionage, Fantasy on August 30, 2016 by UltraRob. Anders nodded, looking down at the image of the man on the scrying mirror. The man in question was just entering his twenties, mouse brown hair, slight stoop, clothes just a bit sloppy and ill-fitting- typical scribe. He didn’t look like much of a fighter, either, and hardly like an assassin- which was reasonable since he was supposed to be neither of those things. “Do we know what he’s been infected with?” Anders asked, not taking his eyes off the man, who was simply sitting at a desk arranging papers. “Kiri?” Lord Brigham looked over at one of the other people who stood around the table in which the scrying mirror was embedded. A striking ebon-haired woman with pale skin and eyes such a bright blue that they glowed with a soft luminescence in the darkened room. “Tomorrow’s peace conference between the Cutwater Rebels and the Empire will be attended by sixteen delegates- eight from each side, plus their scribes and personal attendants. The most likely targets are the heads of the rebel army, Earla Brightblade and Sturm Gallan, or the Minister of the Left, Lord Rathcombe. The deaths of any of these people would result in the dissolution of the conference, and the continuation of the war. This got a round of affirmations, and the team went into action as Anders and his partner walked from the table, heading for the nearest door. Anders pulling on a gray longcoat and tanned fingerless gloves as they went. “Captain, where are we going?” Courtney asked, striding along beside him. Courtney nodded, and at a mental command let the faceplate of the armor she wore slipped over her eyes. As it did, the world suddenly shifted to the view through mage-sight. Now the world was patterns of energy weaving in and around everything, blue and green for inert natural energies, and brighter yellows and oranges and reds for energy which had been twisted and woven into constructs. Instead of seeing Anders in the black-piped crimson of the Imperial Security service, with his long face and shaggy brown hair, she instead saw a vaguely man-shaped fuzzy yellow blob. His protective magics and anti-scrying spells preventing her senses from penetrating more deeply into his true nature. Similarly, when she looked down at herself she saw the magical Armor of Saltea that she always wore, but which was normally invisible and intangible around her body. A second skin of full armor that existed in astral space and only manifested to aid her or protect her. To anyone else, she too would appear to be wearing the normal security service uniform. A quick check of the front sitting room of the mansion they were visiting revealed a number of spells for monitoring and listening in, as well as several dormant security traps for the unwary thief. These were all relatively minor weaves, not meant to deal with someone whose magics were stronger than you could find in the marketplace. This was merely a wealthy merchant’s home in a frontier city, after all, not a place of espionage and covert operations. Although with the leader of one of the rebel armies here, she did think it poor that the host hadn’t beefed up security a little. At last, a servant appeared and gestured them into the audience room, where behind a large antique desk with gold inlays sat the rebel leader, Earla Brightblade. She was older than Courtney expected, with salt and pepper hair and deep lines in her leathery face, but the young woman could also see how Earla may have once been a striking figure. Not that she wasn’t impressive now, with her bright purple silks and blue sash, but what immediately drew Courtney’s eyes were Earla’s own- she didn’t have any. In place of eyes, Earla Brightblade had two clear glass spheres, and in the middle of each hung a red gem shining like a miniature star. Orbs of Truth, Courtney thought as the General rose to greet them and offered a hand. They were rare, even rarer than the armor Courtney herself wore, and she had only heard of them, never seen a pair. Even though this woman was the enemy, it raised her quite a bit in Courtney’s estimation. To have your eyes ripped out and replaced with these artifacts took a lot of courage, even if they allowed her to see “the truth of the world”- whatever that meant. The tall, gruff looking man in the white clothes of a desert warrior who stood beside the general’s desk nodded. “Of course, General.” Then he marched back out the way the pair had come. This entry was posted in Eidolon Corps and tagged Eidolon Corps, Espionage, Fantasy, Short Story on August 29, 2016 by UltraRob.